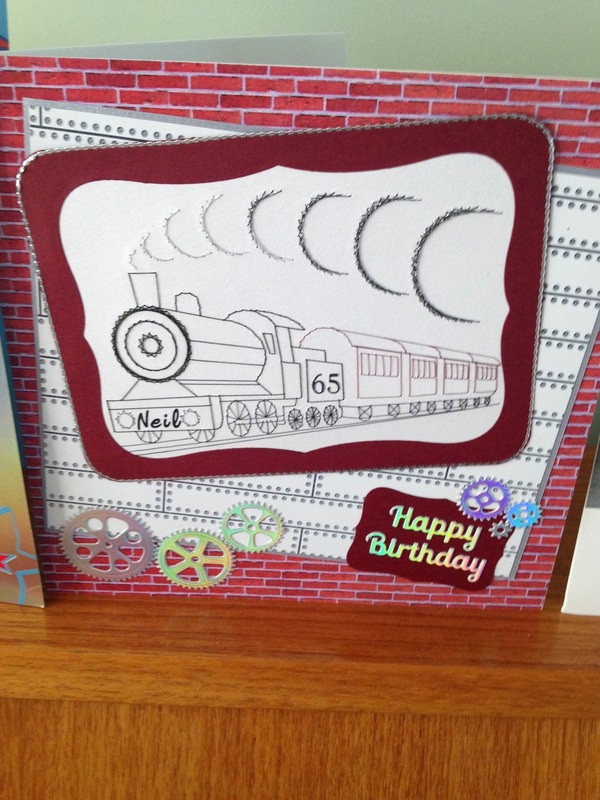 Well today I thought I would show you a card I made for my partners 65th Birthday. 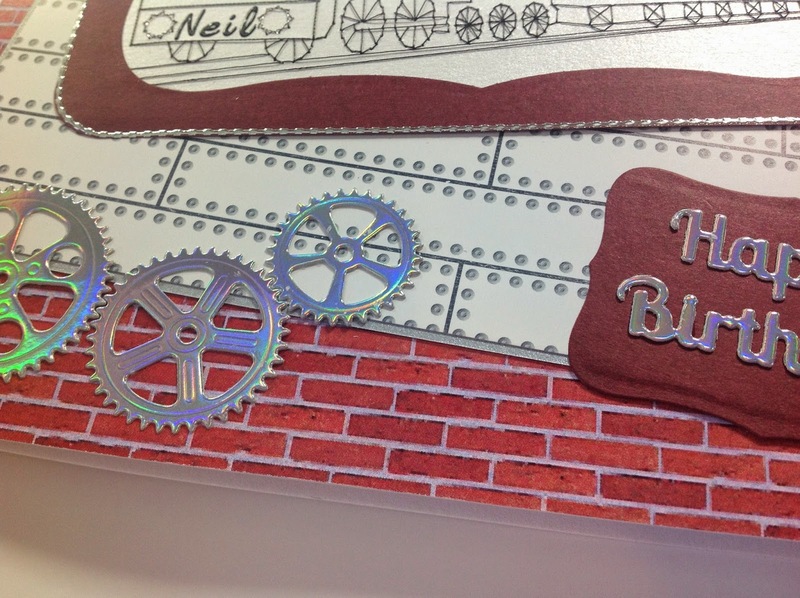 Neil loves trains, so I thought his birthday card should have a train on it. 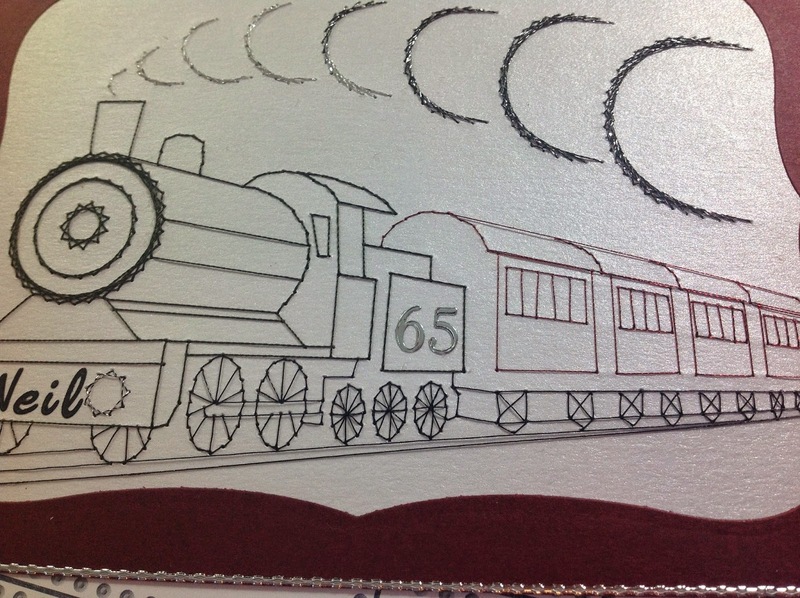 The Train is a pattern from Form-A-Lines, I stitched the engine with a dark green thread and the carriages with a dark red thread, for the smoke I used a grey/silver and black/silver thread. I used some peel off letters for Neil's name at the front of the train and numbers for his age on the side of the engine. I then used a spellbinder label shape to cut around the train, which I then mounts onto dark red card, I trimmed both the white and red card with fine line peel offs - I have loads of peel offs, from when I first started crafting, which I don't really use anymore, so I need to use them up. 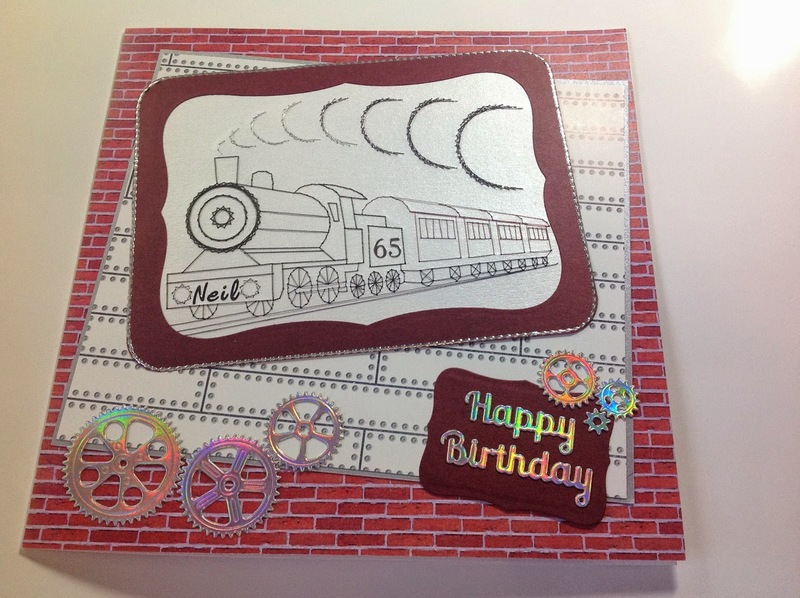 I cut some cogs and the words Happy Birthday I cut out of silver mirror board, using Robert Addams dies. I then mounted the stitched pattern onto some brick card and white industrial card, which I had in my stash. Neil really liked his card, hope you do. I Love it Sally and I can see why Neil loved it. What a great, personalised card Sally, I'm sure your OH loved it! The stitching is such a great technique and it looks very effective. Wow, I'm really impressed. This must have been a lot of work, but the result was really worth it. I'm not surprised that Neil loved it.